Installing moldings and trim in your home can be a daunting task for any do-it-yourself homeowner. Picture Perfect Handyman can simplify your home project, by offering their professional skills at an affordable price, and quickly help you complement the interior decor of any room of your house. Using a skillful set of professional hands allows you to select from a variety of materials including traditional solid (or finger-jointed) wood moldings and trim, and those crafted from PVC, injected molds, polyurethane, and others. 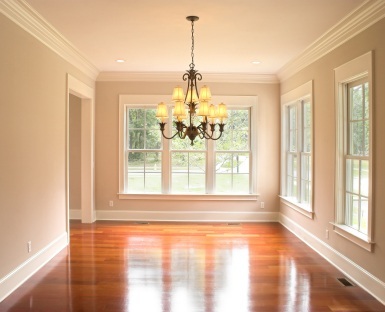 Qualified Expertise – Picture Perfect Handyman understands that crown molding, decorative trim, decorative baseboards, wainscoting and chair railing can add elegance and charm throughout the rooms in your home. Their professionals have the expertise and skills necessary to transform your plain looking room into a tasteful, inviting space. Picture Perfect Handyman can help you create the perfect aesthetic atmosphere while adding value to your home. Installation of shutters, door jams, window casings, baseboards and more. Affordable Prices – Since 2013, Picture Perfect Handyman has offered premium service at affordable prices. Call Picture Perfect Handyman at (661) 457-5991 to speak with a company representative, to see just how much you can save on your molding and trim project. Satisfaction Guarantee – For 6 years, Picture Perfect Handyman has stood behind every project they perform, and offer a full satisfaction guarantee to ensure the job is done according to your requirements.